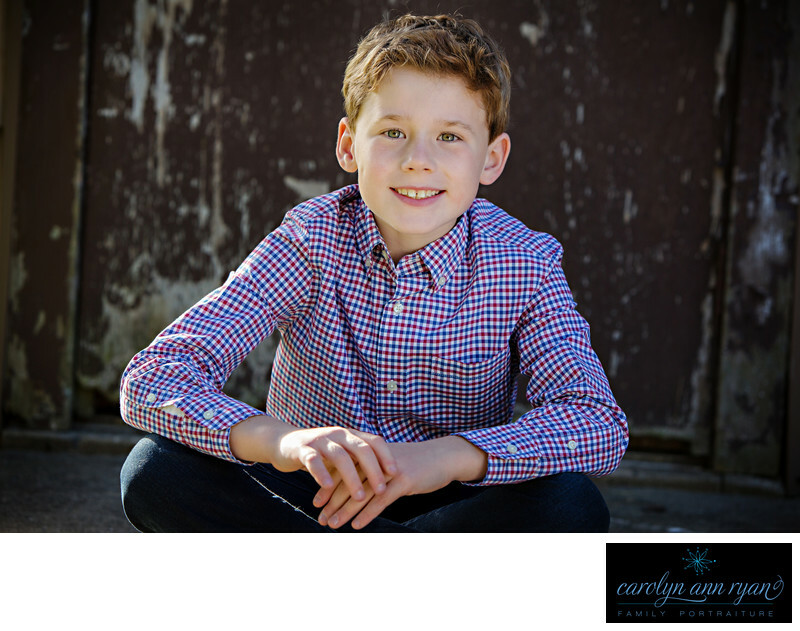 Sometimes, my portrait session clients are not so little anymore. They are still adorably cute, but they are turning into little men and ladies. This guy was mature beyond his years, incredibly polite, and such a pleasure to work with for this family portrait session. I love the backdrop this weathered door provided for a few of my portrait sessions. The light would spill around the side of the building, and I would use my reflector to kick a little light back into my client's eyes to enhance the catchlights. The door added that little element of texture, age, grittiness and also a hint of time.Keywords: Autumn (117), blue (138), boys (120), denim (72), Fall (129), plaid (105), red (51), timeless (54), tween (81). 1/250; f/5.0; ISO 200; 115.0 mm.